Whether your establishment allows smoking indoors or out, management of cigarette and cigar smoke, ash and butts is a chore. 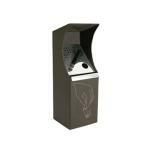 Make this chore easier for staff, and the environment more pleasant for your non-smoking guests, with our attractive wall mounted or free standing ash receptacles. Our outdoor ash urns come in all sorts of colors and styles to fit your décor! Browse our collection of wall mounted ash receptacles. 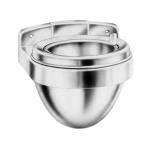 These easy to manage ash receptacles are offered in beautiful metal finishes. Classy sleek designs. 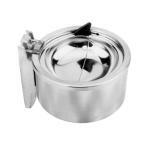 Here you can browse our collection of cigarette and ash receptacles and urns. 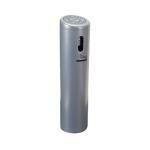 These portable ash receptacles come in simple sleek and contemporary designs.